Many people subscribe to the old saying, “If it ain’t broke, don’t fix it.” And, there’s certainly nothing wrong with event and experiential marketing. After all, a report from the Event Marketing Institute reveals 48% of brands see a 3:1 to 5:1 return on investment (ROI). And, 29% see a whopping 10:1 and more. With results like these, it’s easy to see why so many marketers are moving spend from underperforming areas to the events budget. In fact, 63% planned to increase their event marketing budget and efforts this year. This includes 80% of those that already over-perform in live events, which makes the competition even steeper. These numbers show brands are on the right track with event and experiential marketing. But, who’s to say event marketers and agencies can’t get more creative? Why shouldn’t they use event marketing tactics that turn heads, versus others? Despite the fact that one might believe that expanding experiential campaigns might be prohibitively expensive, there are ways to instead offset costs and see bigger results. Event marketers and agencies looking to offer a better brand experience, while reducing costs, can look to these event marketing tactics. When Google launched its new photo app, it did so in a big way. The tech giant hit the streets of Austin, TX, in a cupcake truck. Passersby could score a free cupcake when they used the new app to take a photo. And, the activation went smoothly, until Zappos came along. The online retailer, using “a box-on-feet” just steps away, preyed on Google’s traffic by asking for people’s cupcakes in exchange for free products. This included watches, sunglasses and gift cards. And though, according to Forbes, it wasn’t a planned co-activation, rewards were reaped by both brands in the form of exposure. Not every brand will have the luck of Zappos. Yet, with some forethought, event marketers and agencies can identify complementary partners with whom they can share costs and take advantage of the other’s consumer base. Both may have physical presence. Or, one may choose to only sponsor signage or giveaways, allowing for flexibility in involvement and expense. This plan works well for large events, where one major brand can enlist several sponsors to offset costs, with all earning benefits. 2. Go digital where you can. Swag is a big business. In fact, Adweek reports, in 2015, it was big to the tune of almost $21 billion. And, there’s no doubt brands’ marketing budgets devote a large chunk every year to wearables, totes and the like. But, is it effective use of the budget? If it makes it beyond the nearest trash can, the answer is maybe. Consumers are inundated with swag in their personal and professional lives. So, unless your giveaway is unique, it’s likely unappreciated. Plus, with Millennials and Gen Z seeking brands with sustainability at their core, handouts may be viewed as irresponsible. A smarter way to get branded items into their hands is via digital. This may be a digital coupon or electronic gift card to apply to future purchases. It may be a GIF download from a photo booth. Or, it could even be access to a playlist of songs they heard at your event. And always include means for tracking (to quantify results) and/or collecting information (to stay in touch). 3. Don’t neglect a sales opportunity. Seventy-four percent of consumers are “more likely to buy” products they’ve seen at experiential events. But, many companies fail to take advantage of their enthusiasm during the event. Thus, they leave purchases to a later date, choosing to stay focused on building awareness and relationships. But, consider the importance of convenience to today’s consumer. It’s why over 100 million people are Amazon Prime subscribers! In-store product sampling programs also show us the potential of on-site sales, with many products seeing 300-600% increases. But, the occasion isn’t limited to consumer product goods. Weber Grills sought to show off the versatility and capabilities of its range of barbecue grills. So, it embarked on a mobile marketing tour, giving demos and feeding visitors at garden centers in England and Ireland. It also hit other conferences, festivals, and events in the UK, where the skills of event staff drove more than £300,000 (or $400,000) in product sales, proving the power of a great product demo. Some brands make the opportunity to score limited edition products part of the experience. Take Adidas for example. The brand known for its consumer engagement strategies and loyal fan base used a recent basketball-related activation to create FOMO around exclusive products. “Sneakerheads” had to enter a raffle for the chance to buy these offerings. Or, they could work with a team to design custom footwear while there. These opportunities not only acted as a catalyst to draw Adidas fans. Other people, there for the basketball, likely bought shoes as a result of the experience itself. 4. Be local in all aspects of experiential events. Current CPG industry trends focus on the need to be local to go global. But, doing so can benefit any brand. Meeting consumers in their backyards lets them have the two-way conversations they need to trust brands and allows them the experiences they crave. Yet, being local takes on other meaning when it comes to limiting costs. Mobile marketing tours, for example, help brands spread their messages across several key markets, while focusing on local in the process. But, in covering so much ground, expenses can add up. One exception is when keeping event staff local. 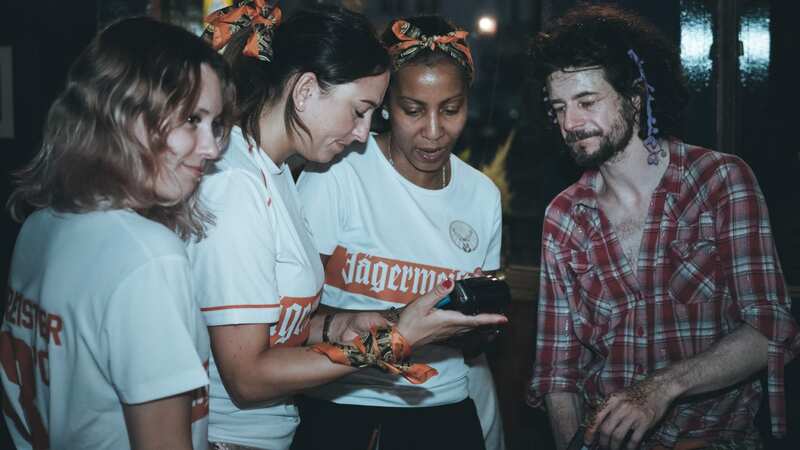 Whiskey brand Stillhouse covered 13,000 miles as part of its mobile tailgate experience. Its branded mobile unit made the trek to provide the backdrop for sports fans to enjoy the brand’s ice-cold shots and cocktails. But, these were served by locally sourced event staff at each of the campaign’s seven stops. In doing so, Stillhouse cut out transportation costs for each person, while ensuring brand ambassadors were relatable to the residents in their respective areas. Plus, stakeholders were able to focus on other vital tasks by outsourcing the effort to an expert event staffing agency, which found staff to personify the brand to a tee and had the necessary skills and certifications. Its team also trained the event staff so that they were armed with the right messages, making the tactic one easy way to offset costs while driving impact. At Elevate, we know more than event staffing. Our experience lends itself to smart event marketing tactics that make an impact on consumers and in reaching your goals. Contact us to learn how we can add value to your experiential event.